A cat has been summoned for jury duty in Boston, and even after trying to get his summons disqualified, the court denied the request. It could have happened to any of the 93.6 million pet cats in the United States1. 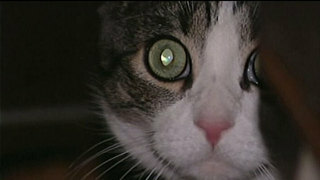 But Sal Esposito of Boston is the lucky cat that has been summoned for jury duty. His owners, Guy and Anna Esposito, decided to include Sal on their U.S. Census form under a section designated for pets. “Sal is a member of the family so I listed him on the last Census form under pets but there has clearly been a mix-up,” Anna told local TV station WHDH. Anna filed to have her pet disqualified from the service requirement by checking off on the form “unable to speak and understand English” as the official reason Sal cannot serve. She even included a letter from her vet explaining that Sal is a “domestic short-haired neutered feline,” WHDH reported. Somehow, the disqualification request was denied. Sal’s service date at Suffolk Superior Court is set for March 23. Anna told WHDH that if the issue isn’t cleared up by then, she will simply have to bring the cat to court.